I originally wrote about the First Tactical Tactix parka, here. I really like it, it’s a great all-around piece of gear. 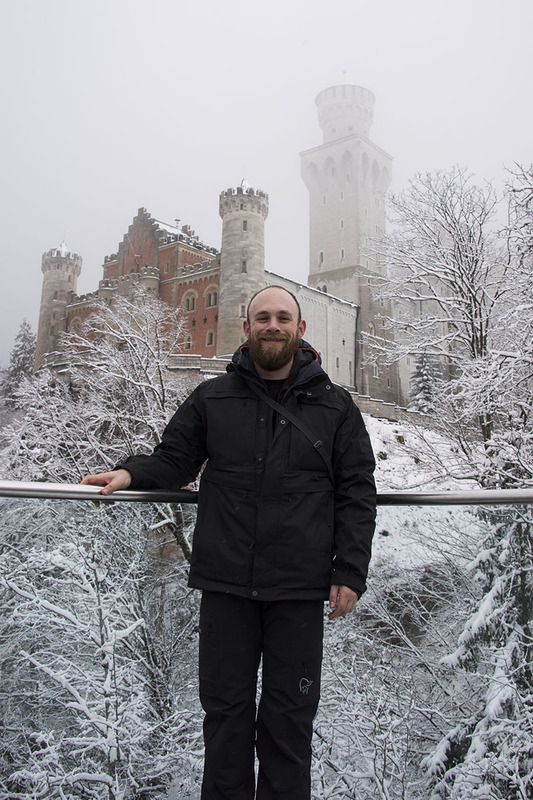 To set the stage a bit, I took the shell of the Tactix parka on a trip to Europe in February, this included stops in Stockholm, Sweden, Rome, Italy, and Munich, Germany. During the trip, we ran into rain, snow, freezing temperatures and moderately cold and rainy days, all mixed together. For day-to-day use, I layered the parka over 2-3 other layers, depending on the temperature of the day. For really cold days I had a base layer, SmartWool 150 weight shirt, an Arc’teryx Fortrez hoody, then an Arc’teryx Cerium LT jacket, finally followed by the Tactix Parka shell. If it was warmer out, I would simply drop a layer or two, depending on the temperature. That combination worked for me across all 3 countries, ranging from about 28°F to 45°F, including sun, rain and snow. One of the key items I mentioned in my initial review was the overall size and fit of the Tactix. The shell has ample room for layering, basically it will fit over any bulky item(s) that I personally ever wear or need. Even with 3-4 layers of undergarments, it still fit well, didn’t bunch up, and was comfortable. For my size, the medium sized shell/parka is perfect, for almost any condition. How warm is the Tactix shell in cold weather? Well it’s a shell, and it traps in body heat pretty darn well, and definitely blocks out the wind. Something that was really nice while up in the mountains in freezing temperatures. And if I got too warm, I simply opened up the pit-zips, and dumped some heat. It was really nice. Neuschwanstein Castle in Schwangau, Bavaria, Germany. While not climbing up hills and just strolling around town, one thing I did wish was that the front main pockets of the shell were a little more insulated. If I didn’t have my gloves on, just having my hands in the pockets kept the wind at bay, but never really warmed them up. So a little fleece lining may have been nice, but that would also up the weight of the shell… So it’s a trade off. For “warmer” weather, I often wore the shell over a shirt and a light sweater. This blocked out any wind, and left me prepared in case of rain. 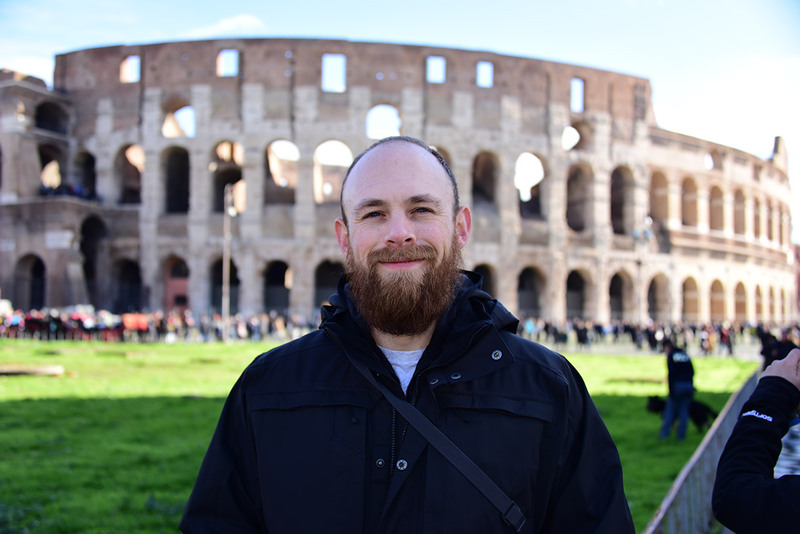 Wearing the Tactix parka over a shirt and sweater in Rome, Italy in front of the Colosseum. 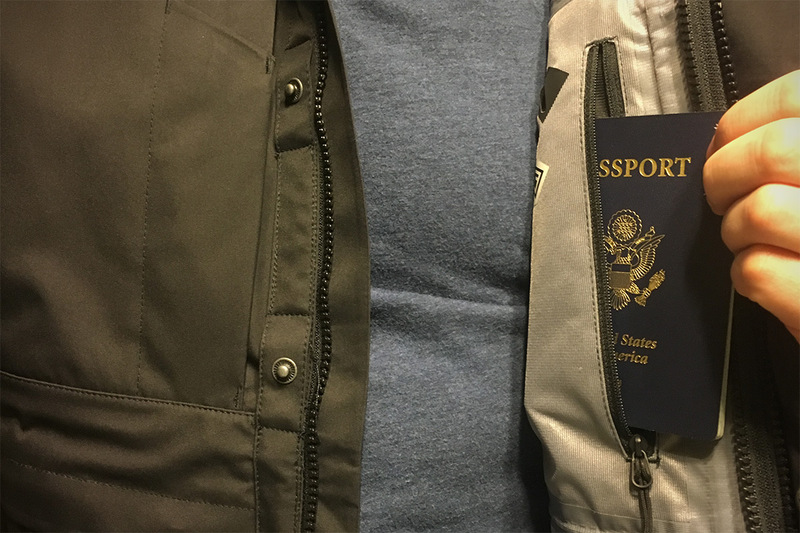 I made a comment that the Tactix parka system had an obscene amount of pockets, and it does… and I can’t tell you how much I appreciated every last one of them while traveling and being on the move. From carrying paperwork, passports, money and extra gear (gloves, hats, phones, etc. ), I never once ran out of space. In many cases, I wore the shell on warmer days and just opened up the pit-zips to stay at a good temperature, just so I would have all of the storage space. Another great pocket in the shell is the inside chest pocket. It’s large enough to comfortably fit a passport with room to spare. Something that definitely made my life easier, especially in cities like Rome where even the machines that sell you train tickets tell you to watch out for pick pockets. So keeping important stuff close by was great. Also, while having paperwork, phones and money in outsize and inside pockets, during rain and snow, never once did a drop of water get on anything. The pockets, YKK zippers and taped seams all held up perfectly, even in a couple torrential downpours. So, as I mentioned before, the Tactix parka is a pretty heavy combination, 3 lb 11.8 oz in total. Hauling that around would have been tough for various reasons, but just the shell, even thought it weighs in at 2 lb 1.4 oz is rather “pack-able,” and because of that, it worked out perfectly. I was able to strap it to the side of my pack when I wasn’t wearing it, where it was out of the way, but handy if I did need it. 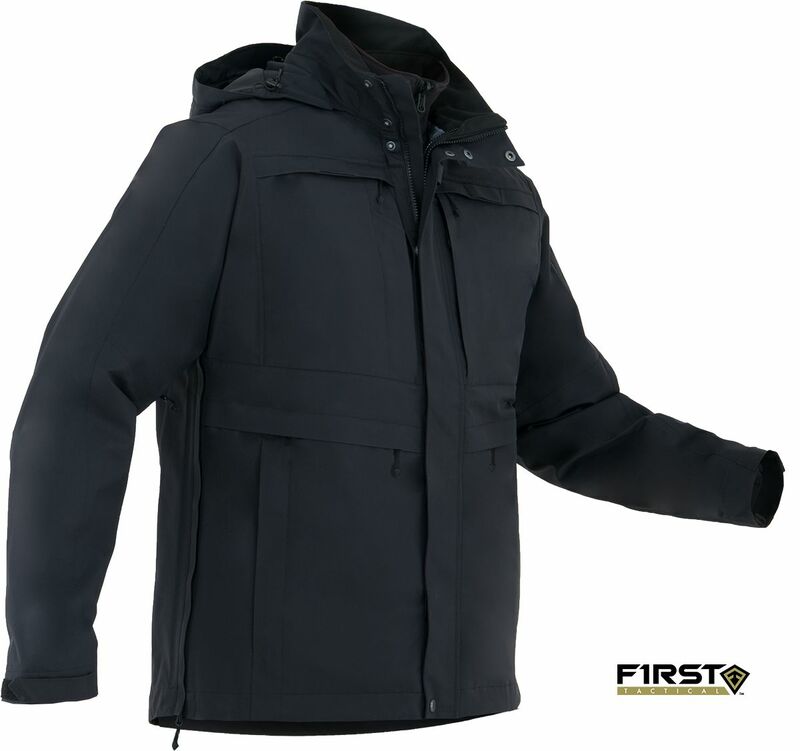 Basically, if you don’t have other light weight jackets for a layering system, the full Tactix parka system, shell and jacket, would have worked out just fine and would have offered good layering options. But for me, with the other gear that I have and use, it just worked out better to only use the shell. My other two primary layers combined, weigh in 3.1 oz less than just the liner. So it was more versatile, in a weight to use ratio, that I completely made up in my head, for me to focus on the shell. Just to list off a few other things that I really grew to love about Tactix parka, the snaps… Now generally snaps are nothing to really talk about, they either snap, or they don’t. But the snaps on the Tactix are rugged, that’s the best way I can describe them. They require a bit of force to close and open, and are really nice. Because they are so “rugged”, actually closing the snaps can be a bit of a pain. They don’t really snap by just pressing on them, you really need to pinch them. If your hands are frozen, or you are wearing gloves, generally that’s next to impossible (for me anyways). What the First Tactical team did with the Tactix is awesome, they put the snaps up on small loops of nylon, making it so you can slip your fingers on both sides of the snaps and snap them together, even with quite bulky gloves on. Next on the list is the pit-zips… Something that is always a nice feature with a shell, and I always like to have. But, this trip, with the temperatures throughout the day changing pretty drastically or going from sitting and walking around to hiking up a hill with 3-layers on, the pit-zips were a must have for regulating heat. I’d go from comfortable to wanting to take off multiple layers, but could just open up the front a bit and open the pit-zips a couple 4-5 inches and back to a reasonable temperature. 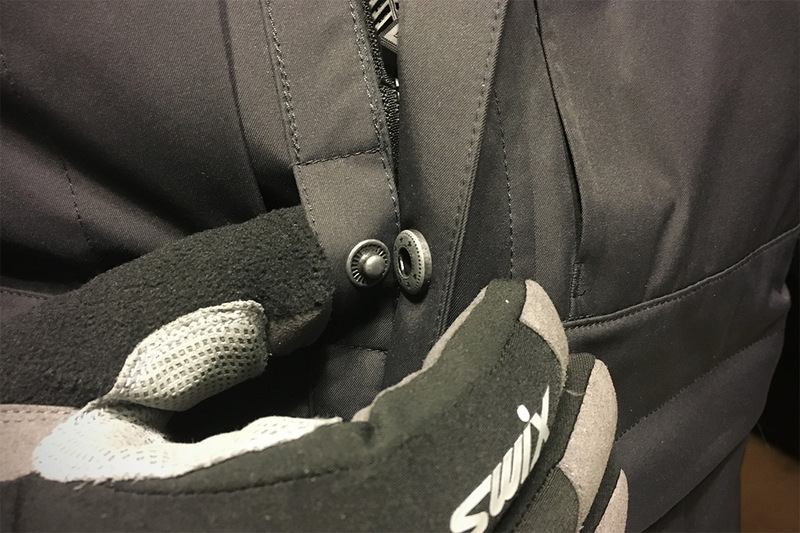 If your activity levels are going to be changing throughout the day, or the temperature of the day is going to swing a lot, having the zips is awesome. It lets you regulate heat quite well, and not have to shed and carry layers in a lot of cases. After my initial review and use of the Tactix Parka, I really liked it. There were a few ups and downs around weight, but other than that, it’s been a perfect setup for pretty much everything I’ve been able to throw at it. Everything I initially liked, I still like as much, or maybe a little more. I just haven’t really had a bad experience with the Tactix yet. The only thing that I have ran into is that occasionally I don’t push the front zippers all the way down, so when i try to zip it up they bind a little. But that hasn’t happened to me in quite some time (it’s more of a learning curve thing than anything). Bottom line, I don’t think you can go wrong with the Tactix System.